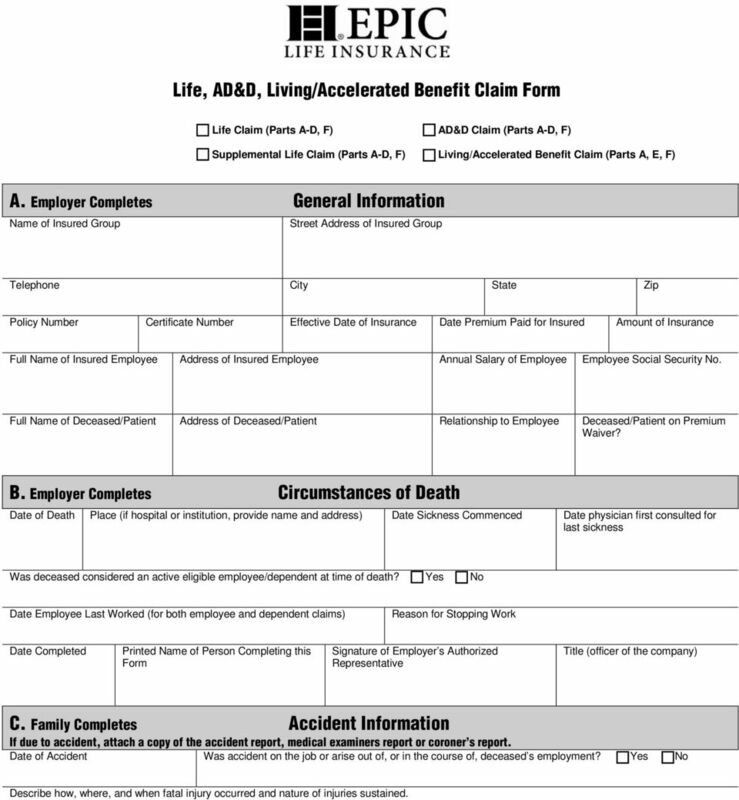 Download "Life Insurance Claim Requirements"
2 Life, AD&D, Living/Accelerated Benefit Claim Form Life Claim (Parts A-D, F) AD&D Claim (Parts A-D, F) Supplemental Life Claim (Parts A-D, F) Living/Accelerated Benefit Claim (Parts A, E, F) A. Employer Completes General Information Name of Insured Group Street Address of Insured Group Telephone City State Zip Policy Number Certificate Number Effective Date of Insurance Date Premium Paid for Insured Amount of Insurance Full Name of Insured Employee Address of Insured Employee Annual Salary of Employee Employee Social Security No. 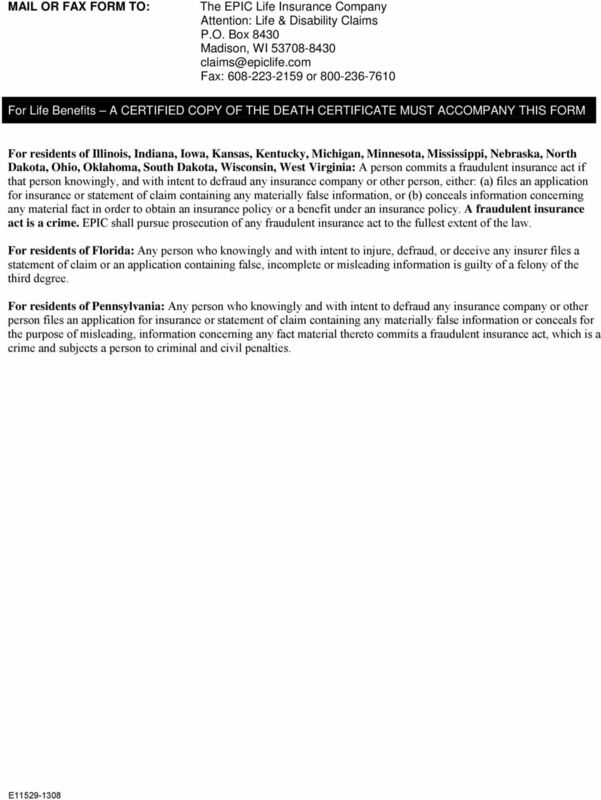 Full Name of Deceased/Patient Address of Deceased/Patient Relationship to Employee Deceased/Patient on Premium Waiver? B. 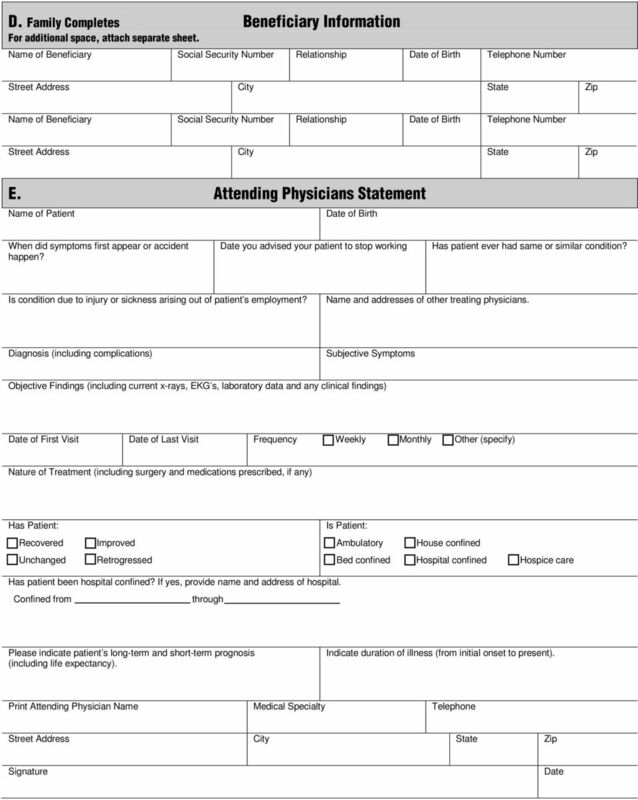 Employer Completes Circumstances of Death Date of Death Place (if hospital or institution, provide name and address) Date Sickness Commenced Date physician first consulted for last sickness Was deceased considered an active eligible employee/dependent at time of death? Yes No Date Employee Last Worked (for both employee and dependent claims) Reason for Stopping Work Date Completed Printed Name of Person Completing this Form Signature of Employer s Authorized Representative Title (officer of the company) C. Family Completes Accident Information If due to accident, attach a copy of the accident report, medical examiners report or coroner s report. Date of Accident Was accident on the job or arise out of, or in the course of, deceased s employment? Yes No Describe how, where, and when fatal injury occurred and nature of injuries sustained. 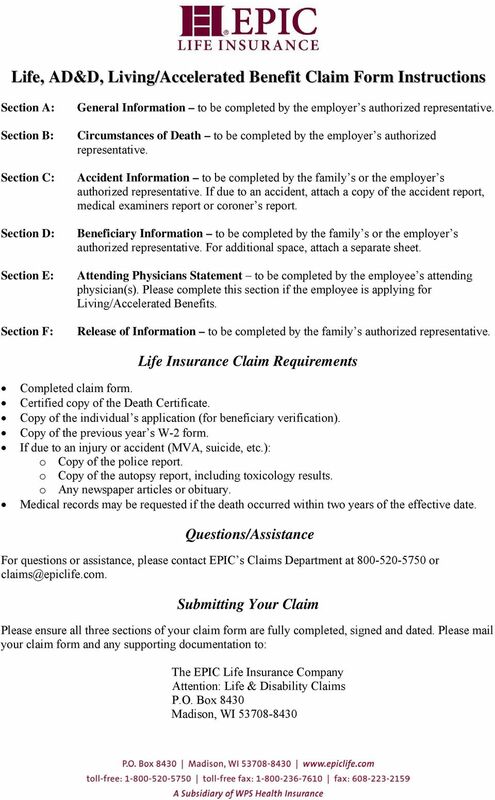 5 MAIL OR FAX FORM TO: The EPIC Life Insurance Company Attention: Life & Disability Claims P.O. Box 8430 Madison, WI Fax: or For Life Benefits A CERTIFIED COPY OF THE DEATH CERTIFICATE MUST ACCOMPANY THIS FORM For residents of Illinois, Indiana, Iowa, Kansas, Kentucky, Michigan, Minnesota, Mississippi, Nebraska, North Dakota, Ohio, Oklahoma, South Dakota, Wisconsin, West Virginia: A person commits a fraudulent insurance act if that person knowingly, and with intent to defraud any insurance company or other person, either: (a) files an application for insurance or statement of claim containing any materially false information, or (b) conceals information concerning any material fact in order to obtain an insurance policy or a benefit under an insurance policy. A fraudulent insurance act is a crime. 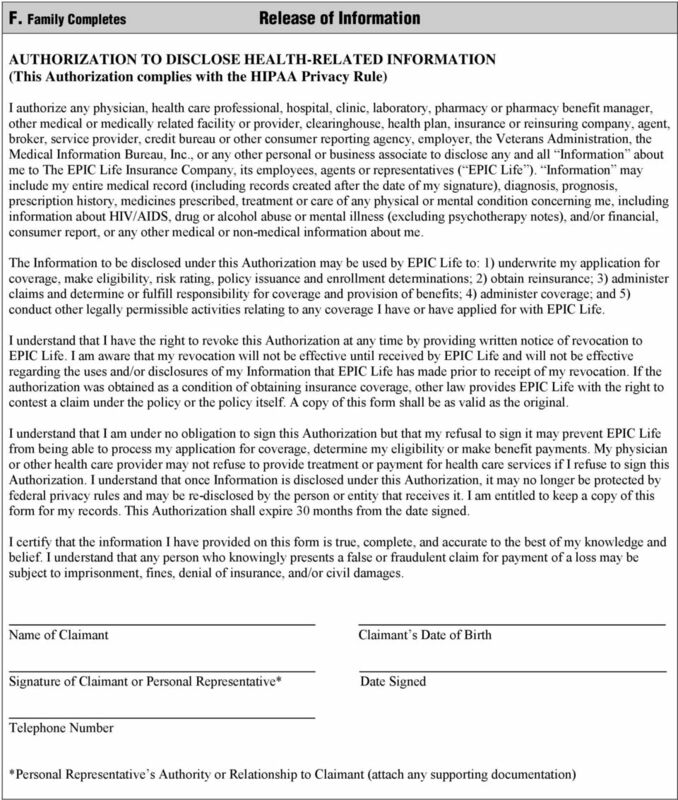 EPIC shall pursue prosecution of any fraudulent insurance act to the fullest extent of the law. For residents of Florida: Any person who knowingly and with intent to injure, defraud, or deceive any insurer files a statement of claim or an application containing false, incomplete or misleading information is guilty of a felony of the third degree. For residents of Pennsylvania: Any person who knowingly and with intent to defraud any insurance company or other person files an application for insurance or statement of claim containing any materially false information or conceals for the purpose of misleading, information concerning any fact material thereto commits a fraudulent insurance act, which is a crime and subjects a person to criminal and civil penalties. The Company You Keep New York Life Insurance Company Group Membership Association Claims PO Box 30782 Tampa FL 33630-3782 (800) 792-9686 Dear Claimant: We are sorry to learn of your unfortunate illness.